Senator Elizabeth Warren is firmly in the anti-filibuster camp. 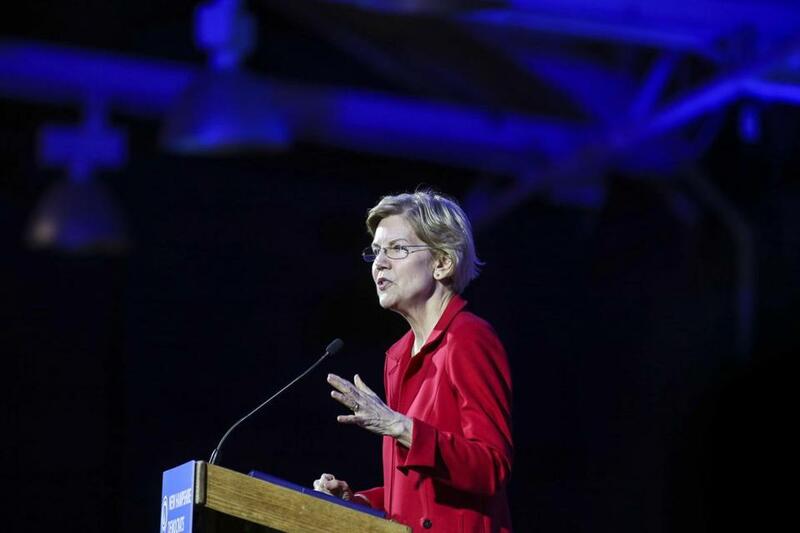 Elizabeth Warren is firmly in the anti-filibuster camp. “When Democrats next have power, we should be bold,” the Massachusetts senator declared this month. “That means . . . we should get rid of the filibuster.” Washington Governor Jay Inslee is also for scrapping the filibuster, which he calls “an antebellum rule in the Internet age.” Former Representative Beto O’Rourke of Texas says he is open to the idea. This is a curious debate. On most issues, the platforms of the 2020 hopefuls have been largely indistinguishable, so it’s refreshing when they find an issue that divides them. But the fate of the filibuster is something over which presidents have no authority. Whether it stays or goes, senators alone will decide. Why make it an issue in the presidential campaign? It used to be that any senator or group of senators could indefinitely block a vote on a bill the way Jimmy Stewart did in “Mr. Smith Goes to Washington” — by taking the floor to speak and refusing to stop until the majority agreed to give ground (or exhaustion overtook the speaker). Critically, while a filibuster was underway, all other Senate business was suspended. In 1970, then-Majority Leader Mike Mansfield introduced a “two-track” system, under which a bill being filibustered would be set aside so the Senate could take up other matters. The result was not what Mansfield doubtless expected — making filibusters less desirable by stripping them of their power to gridlock the Senate. Instead, the number of filibusters soared. Or rather, the number of threatened filibusters soared. Those threats never had to be made good. The mere announcement that Senator X intended to filibuster Bill Y created a de facto requirement for a supermajority to move the legislation forward. Soon it was taken for granted that nearly every bill needed 60 votes to pass.